You visit Mom in the hospital, and she asks you why she’s in at the Botanical Gardens. You’re talking to Dad, but he doesn’t seem to be able to follow the flow of the conversation. Your first thought: Is it Alzheimer’s? However, that’s unlikely to be the case. Dementia progresses slowly. If you see a sudden change in an older person’s mental or emotional state, it’s more likely that it’s delirium. Dementia is a chronic condition. Delirium is a medical emergency. Dementia has a gradual onset, usually starting with memory loss. At first, the lapses may be attributed to “senior moments,” but with time, a pattern of loss of function emerges. Delirium occurs suddenly. Someone with delirium might be functioning normally one moment, and then suddenly start to hallucinate. 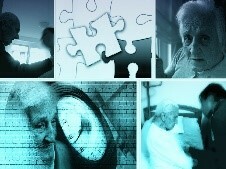 Dementia is a chronic disease. In a few unusual cases it may be brought on by other conditions, but usually it a disease of its own. In addition to being incurable, it is also progressive, meaning that cognitive function will continue to decline. Delirium is an acute state, meaning not only that its onset is abrupt, but that its duration is brief — assuming proper treatment is administered. Without prompt, proper treatment, delirium can have severe repercussions. Dementia is usually caused by a disease, like Alzheimer’s, that results in the death of — or otherwise interferes with — brain cells. It can also be caused by other insults to the brain, such as a stroke, a tumor, or a head injury. Delirium is usually triggered by some acute issue, such as an infection, like a urinary tract infection or pneumonia. Particularly in the elderly, the cause may be a relatively minor, such as constipation, dehydration, or sleep deprivation. A move into an environment that is completely unfamiliar, such as a hospital, is a common cause of delirium in older people. In fact, it even has its own name: hospital- or ICU-psychosis. Medication interactions, illicit drug use, or withdrawal from alcohol or illicit drugs can also cause delirium. Dementia classically involves loss of memory, and memory loss is usually the first symptom to appear. Being able to recall words and names becomes increasingly difficult, and the person may begin to have trouble with normal, familiar, everyday tasks, such as cooking. A person with dementia may become easily lost, even in familiar environments. They may start misplacing everyday items, such as their keys. As the disease progresses, communication and thinking skills become difficult or impossible; the person may even develop changes in personality and mood. Delirium, on the other hand, does not generally involve any memory issues. Instead, the personality and mood changes common in late-stage dementia will appear abruptly. The person may hallucinate. They may be unable to speak coherently. They may become either hyperactive or unresponsive. Dementia has no cure, but there are many treatments to slow the progression of symptoms. Early intervention is key. Delirium, if caused by an infection or other illness, will resolve as soon as the illness is resolved. The most important issue with delirium is that it be identified as soon as possible, so that it can be treated. Untreated, it not only causes significant distress to the person — and their loved ones — but it can also lead to other complications, including dementia, or even death. At Laurel Bay Health and Rehabilitation Center, in the scenic beach town of Keansburg, NJ, our caregivers are specially trained to note changes in resident’s behavior. We offer specialized health services and programs for our residents suffering from dementia and Alzheimer’s. This includes our sensory programs and activities, all provided in a secured environment that protect our residents’ safety. Read our reviews on senioradvisor.com, wellness.com, and caring.com to hear what our residents and their families have to say.